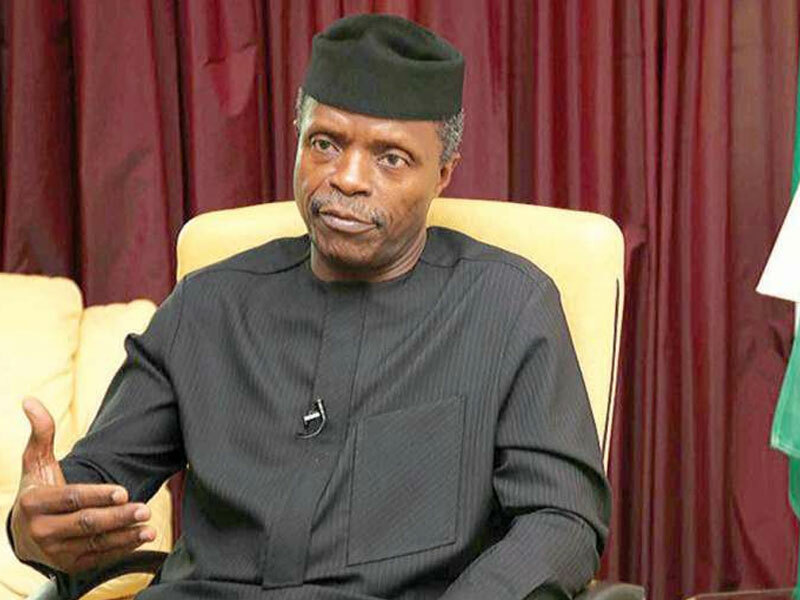 Ahead of the forthcoming election, the Vice President, Yemi Osinbajo, on Friday called on Nigerians to return the All Progressives Congress to the government. He called on electorate not to be discouraged through the Presidential and National Assembly which was postponed unexpectedly. The statement was contained in an open letter he wrote, titled “A time such as this!”. Osinbajo thanked the people for their support in 2015 and appealed for more during Saturday’s pills. “In the past weeks and over the course of my time in office, I have interacted with everyday Nigerians not only to give an account of our stewardship but also to listen. Across the length and breadth of our great country, I’ve seen and heard passionate Nigerians who work hard to earn a decent and dignified life. Working closely with President Muhammadu Buhari, we have had the privilege to share our vision of a country where all Nigerians, regardless of tribe, class and background can aspire to a viable future and dignified existence. This belief is something that President Buhari has borne and demonstrated for decades as a soldier, public servant, candidate, and now, as President. Now more than ever before, we feel we are truly at the cusp of greatness. In 2015, on the platform of the All Progressives Congress (APC), we undertook to tackle insecurity, corruption and an economy characterised by extremely deficient infrastructure and the sheer abundance of poverty. Despite extenuating circumstances, we have worked hard to actualise our mission. A nation at war, we delivered on our commitment to secure our territorial integrity by liberating 17 Local Government Areas from the grip of the insurgency. We halted the march of the insurgents to Kaduna, Kano and Abuja where they had bombed churches, mosques, government buildings including the UN building and Police Headquarters in Abuja before 2015. Today the activities of insurgents and the new ISIS West Africa (ISWA) are largely restricted to Northern Borno. We know that building a compassionate nation under the rubric of social justice, led by the Federal Government, is not only desirable to right-thinking Nigerians but is a national imperative. This is why the Federal Government did not hesitate to support state governments with bailouts that enabled them to pay unpaid state workers, as well as taking on the responsibility of settling decades of unpaid pension liabilities to retirees of moribund federal enterprises. While we continue to believe that the primary role of leadership is to advance good for the people of Nigeria, there are many challenges that still beset the nation. For decades, not much was done by way of focused on human capital development. Our priorities for the next four years, if elected, are set out in our Next Level Roadmap document. We believe that the gains in providing free meals for children in public primary schools must now be deepened with our plan to revamp education through a focus on Science, Technology, Engineering, Arts and Mathematics (STEAM); prioritising digital literacy; retraining all teachers in primary and secondary schools, and also remodelling and equipping our classrooms. Our Next Level Roadmap also outlines our plans for employment, skills development, health, power, agriculture, industrialisation, inclusion in governance, among others.